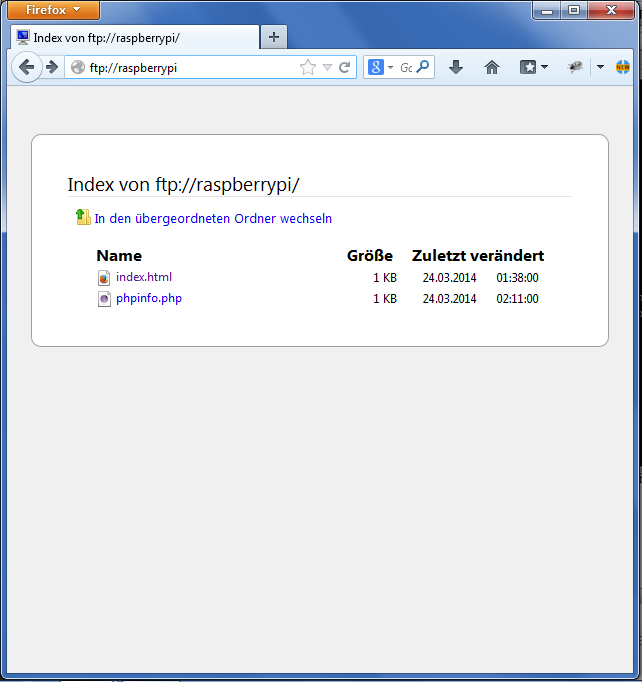 For uploading files on a Raspberry Pi you should install a FTP server. 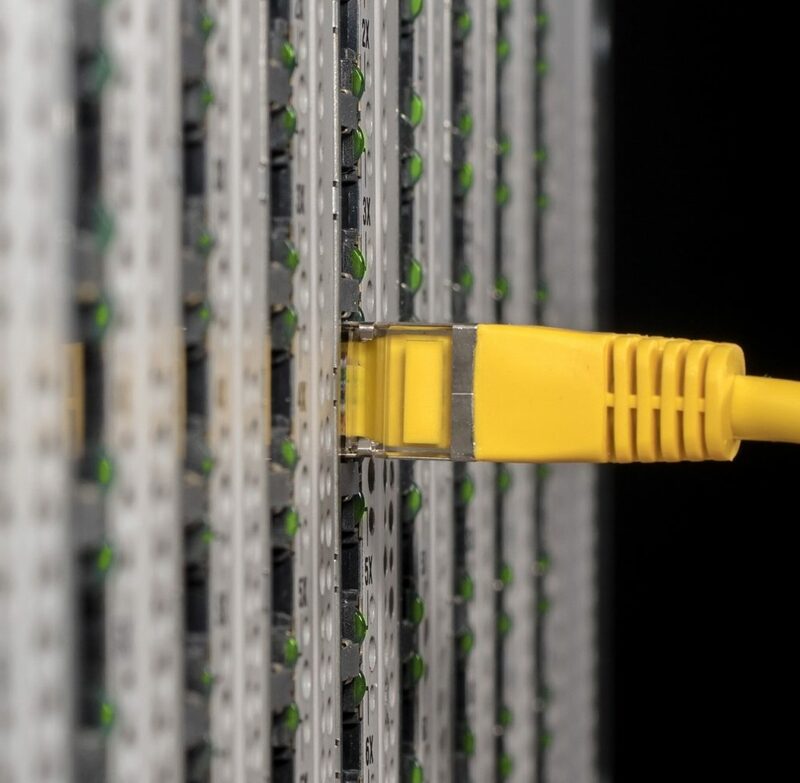 Such a server is very useful if you use your Pi as a web server or even if you want to have a network storage, which can also be accessed outside of your network if an DNS server is installed. However this tutorial is not only for web server but can also be used for easy file transfer between Raspberry Pi and your PC. You will be able to access the whole sd card (US / UK). If you want to use the Pi as a network mass storage you should have enough empty space. Alternatively you can also use an external hdd (US / UK). All B/B+ models (including the Raspberry Pi Model 2B / 3) have a 100 Mbit ethernet port, which allows fast data transfer rates. First of all you need to install the server package. You can use SSH or opening the terminal. 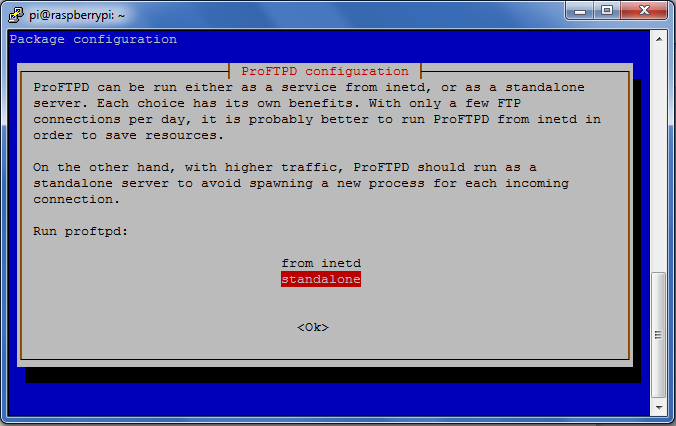 While installing it will ask how ProFTP should be started. We choose “standalone” (see image). Basically, here it would be already done, but with this configuration each user has access to his own home directory (for example /home/pi). Therefore we create a new virtual user with access to a specified path. For this purpose we first change once the directory. Here, the virtual user will be created. In the following example I create the user “tutorials“ with home directory /var/www/. You can specify whatever directory you want (also the absolute root directory or a directory on a mounted external hdd). Now just enter the password and confirm. If the user’s password should be changed at a later date, simply switch back to this directory ( /etc/proftpd/ ) and run the same command again. By pressing CTRL + O and CTRL + X and we save and exit the editor. Last but not least, we restart the server and try it out. No you can test it: Open your Browser and type in ftp://raspberrypi/ (If you have changed the host name of your Pi you have to take that. If it still doesn’t work insert the local IP address of your Raspberry Pi). For uploading files I strongly recommend the tool FileZilla. Maybe you still can’t log in because rights are missing. The following commands will help to fix this problem.